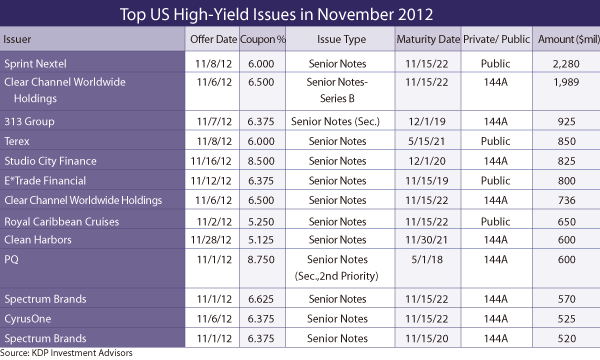 Analysts expect another year of positive returns for the fixed-income markets in 2013, although gains will be harder to com e by than in 2012, owing to narrower spreads. 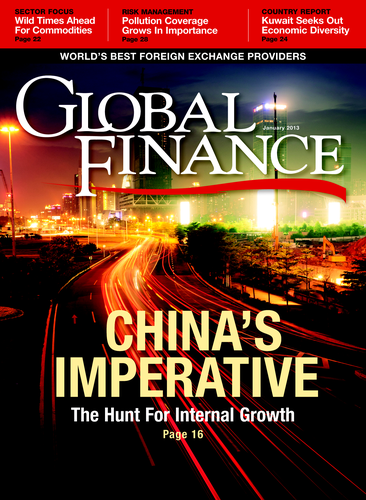 Emerging markets corporate bonds and lower-rated credits could attract yield-seeking investors. 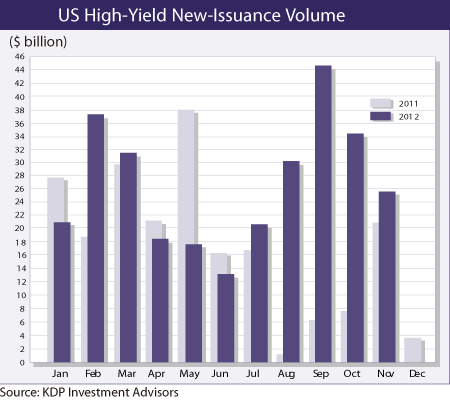 In the US, investment-grade and high-yield bond issuance set records in 2012. As a result, the need for corporations to issue new debt this year has diminished, Barclays says. Emerging markets’ dollar-denominated issuance has been climbing steadily from all regions; in 2012, it easily eclipsed previous records. Christine Hurtsellers, chief investment officer of fixed-income and proprietary investments at ING US Investment Management, says: “Emerging markets are poised to benefit from recent monetary and fiscal accommodation and present good value and opportunity.” Emerging markets corporations are less leveraged than US corporations and European market tail risks are diminishing, she says. Hurtsellers believes economic growth could produce volatility in the US market, although federal funds futures are not pricing in any change in Federal Reserve policy. She believes that Ben Bernanke’s likely replacement as Fed chairman in 2014 will not have very different policies. In this changing en-vironment senior bank loan investments will be attractive, since they are designed to reset their yields to reflect current interest rates, according to Hurtsellers. Commercial mortgage-backed securities and non-agency mortgage securities may also fare particularly well, she adds, as they benefit from continued improvements in US commercial and residential property markets.